Yousef and Katherine had a tired Victorian style conservatory which was separated from the rest of their home by French doors. 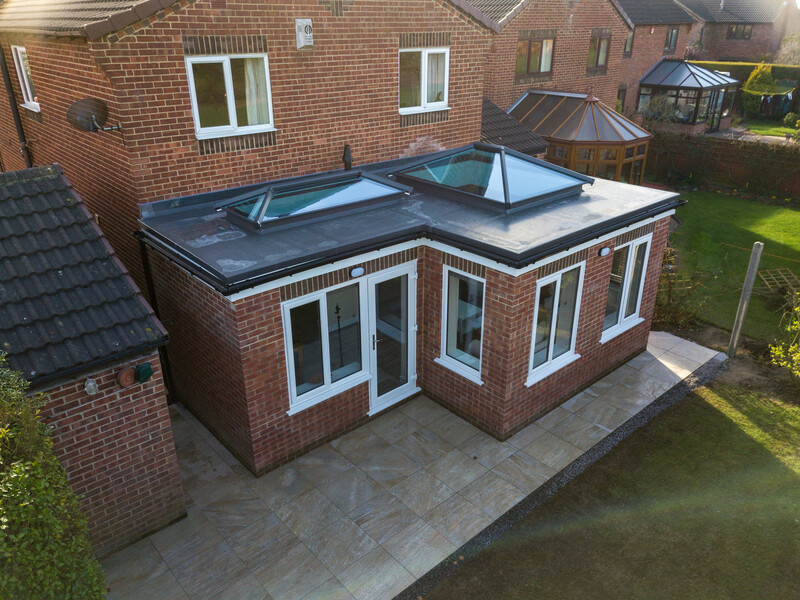 After seeing the stunning Ultraframe orangery installed for their neighbours by Ultra Installer, Durham Design, they were so impressed that they got in touch with the company to ask them to quote for an extension. The couple wanted to create a larger living space which was suitable for entertaining, cooking, and dining. 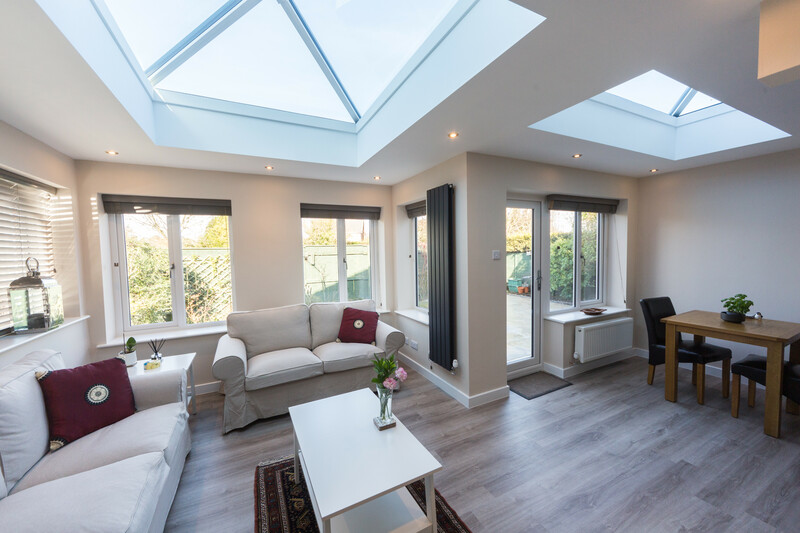 After explaining to Durham Design what they wanted to use their new living space for, Yousef and Katherine decided that a large L-shaped open-plan living space coming off their kitchen was the best option for them, topped off with a flat roof featuring two Ultrasky lanterns. These add a dramatic feature to the flat roof and allow plenty of natural light into the large new room below. 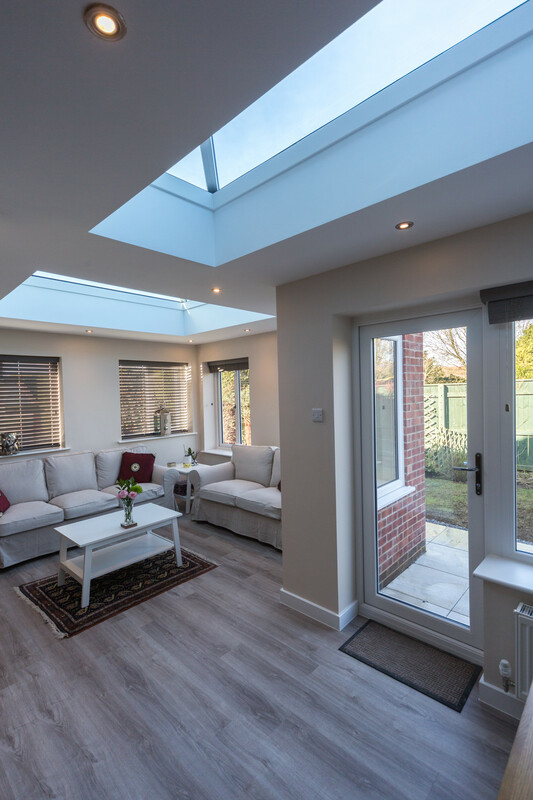 The Ultrasky lantern is the strongest lantern on the market and features slimline bars to create a contemporary look which allows for large expanses of glass for maximum light and clean sightlines. Two walls were removed to link the existing dining room and separate kitchen to the new orangery. The resulting large new living space has plenty of light and is the ideal place to relax, dine and entertain.